The Salaudeen brothers are two sides of a coin. Abdulraman, the younger one carries a timid and calm demeanor. The kind that prefers to be spoken to rather than instigate conversation. His behavior reinforces the sentiment that programmers are so self-involved that they can only give little in public interaction. He however denies being introverted and claims an outward personality— when he is with the right crowd, that is. He is the technical team lead. Taslim on the other side exudes more charisma. As the face of the business, he assumes the role with a boisterous smile and a firm grip for handshakes. You can’t do business till you do business. He prides himself in having an experience for this kind of thing and he wears all his past businesses– the successful and not-so-successful ones as some sort of medal. “I have done several businesses: nice ones, sad ones and and the likes.” He said. Taslim gesticulates when he talks and sometimes, it seems he is addressing maybe a few more than the number present in the room. He is the product lead. The brothers co-founded E-Detectors in 2018. 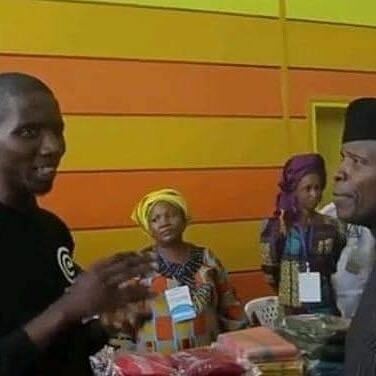 They were both students of the Federal University of Technology, Akure at the time. FUTA, as it is fondly addressed is a citadel that encourages the kind of hardwork that stifles social life. Lecture halls in the middle of the night are akin to daytime as most students troop out of their homes and hostels to take advantage of the school generator. To read and to charge their portable electronic devices. It was a long-distance walk because the school is divided into 3 parts, South Gate, North Gate and the institution itself. The South and North gates are unofficial extensions that served as outskirts. “We thought about ways you can be informed without being at home and that was what brought about the initial concept UpNepa” Taslim said. Coincidentally as well, Abdulraman also came home with a similar realization and the brothers felt it was a sign. They had to work on it. Within 2 days, they developed the prototype of their first device. They called it ‘UpNepa’, an old exclamation that is synonymous to the restoration of power supply. NEPA stands for National Electricity Power Authority, and was the firm responsible for Nigeria’s power till it was privatized and broken to parts. To this day, the phrase is still chanted by children in suburban, rural and metropolitan Nigeria. Their first prototype was very simple. It would tell you if there was light in all 3 parts of the School’s vicinity to help students plan their movements better. It didn’t run with any sensor or equipment that particularly detected light. Infact, the brothers had to plant friends at different parts of the school at all times to know the supply status. They would communicate via phone and update the UpNepa app through the back-end. Once it was released, it spread like wild fire. The growth was organic, and with the help of a few influencers Taslim knew, the prototype was downloaded over 5,000 times in the space of a month. “The name is a huge contributor to how UpNepa has been embraced in the school environment” said Abdulraman, who has an uncommon ability to stay quiet for a long time. To test if their success in FUTA was a fluke, the brothers decided to spread their initiative to UNAAB in Ogun State. They witnessed favorable acceptance there as well. If you ever want to know the secret behind E-Detectors, it is in a clear-cut division of labour amongst them. They both have their strong points and they acknowledge that reality. “So, when we got the concept, the first thing we did was understand the technical stability of the software and also the business point of the concept. That was the two major roles we took at first. 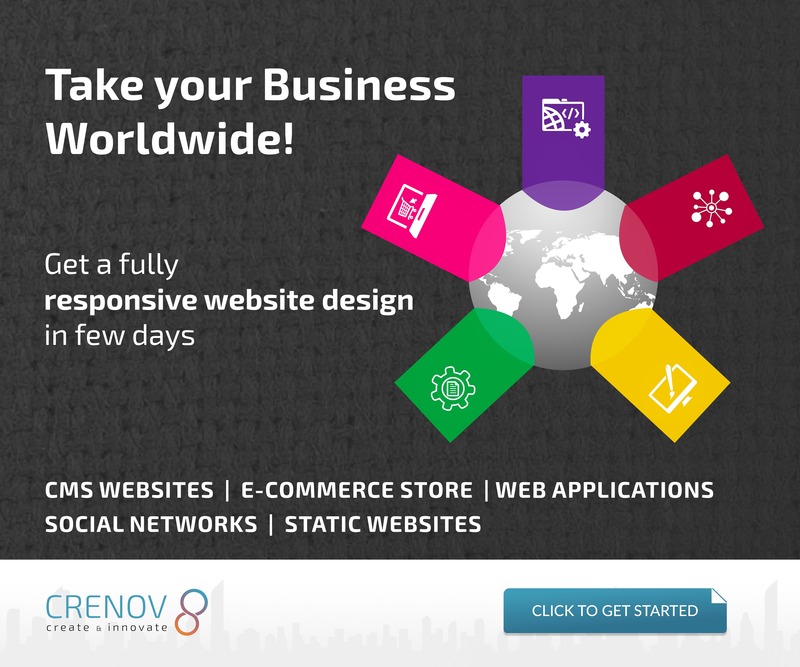 He created the software, I tried to look at the business feed for the solution.” Taslim said. One of the most important parts of UpNepa as a startup is the industry they chose to disrupt. Africa has consistently battled electricity on all fronts and it seems there is no end in sight. Last year, a World Bank report predicted that over half a billion people in sub-saharan Africa by 2040 will still not have access to power. This makes the UpNepa solution urgent, and in some way timeless. 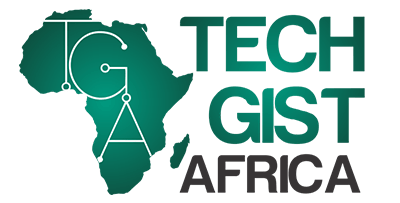 Tech Gist Africa (TGA): After the release of your initial prototype, did you make any profit? Taslim: First, we tried making the platform a paid one but then we realized students didn’t have money to pay for something that does not involve food. (laughs) When we learnt that, we went back to the drawing board. We thought of ways to make it friendlier for students and also, for companies trying to reach students through our platform. We noticed that students used our platform twice a day: when they are going to school in the morning and when they are going back to school. We tried creating a point where companies can place their advertisements. We did that for about three months and we made some profit off it. TGA: Was the first one an app or was it just a website? It was a mobile application. 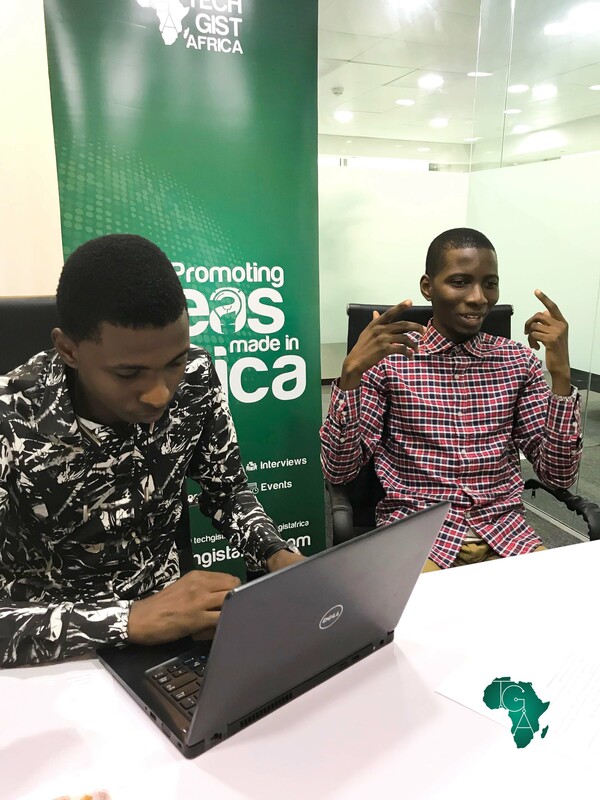 Now, they have moved on from that prototype to devices that can be fitted in homes to monitor power supply, power consumption and also, smart sockets that can control appliances in the home. Although, they are only in their beta stages for the devices, they have managed to stir up a lot of interests in willing testers. As easy as it is for them to rest on their oars, they say offering electrical products is not the endgame. The real gold is in the data. “One of our missions as a company…” Taslim said “is actually to acquire data concerning power supply and make this data useful to consumers, private and public power distributors. So, we mine and analyze data according to different sectors or clusters”. They have integrated analytical tools in their technology to properly document and eventually predict power supply in select communities. 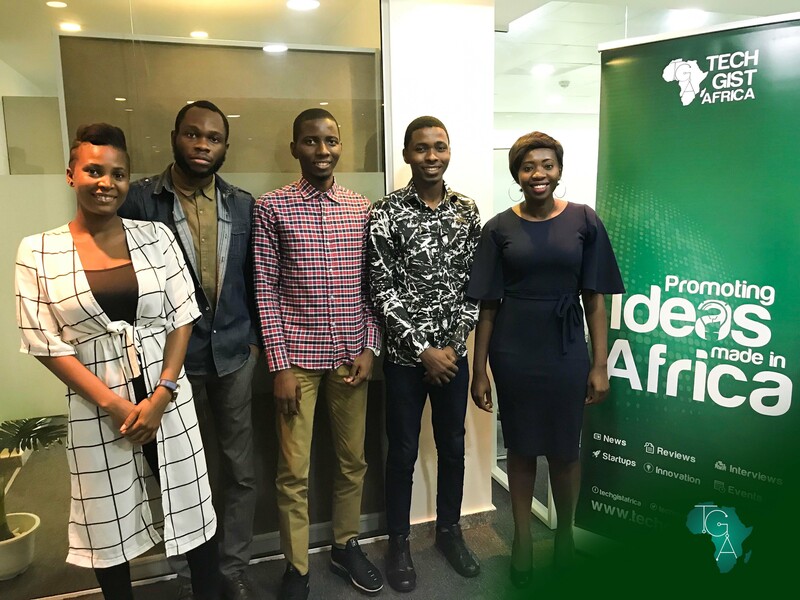 They aim to make their solution accessible and useful to both the government and entrepreneurs alike. 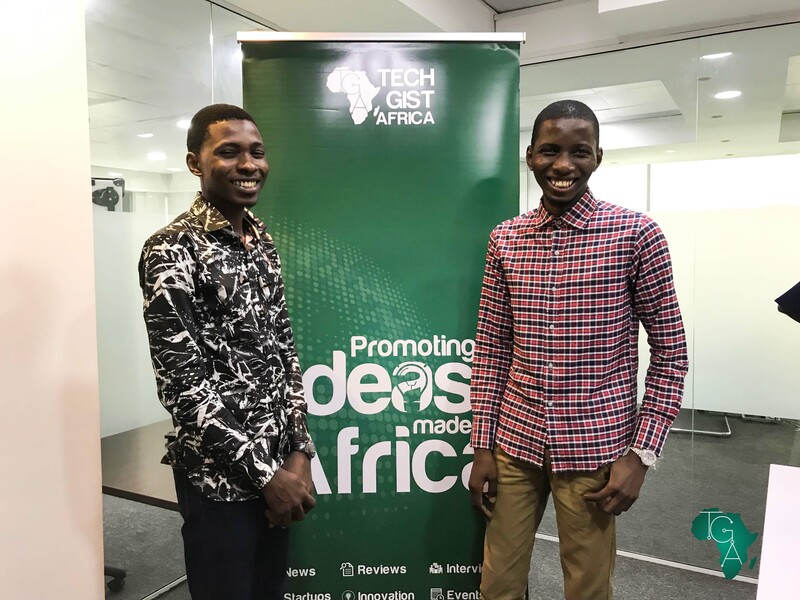 “Our main intention is to not only tell you whether there is power supply in your home or the duration there will be power supply, we also want to give insights to people that are looking for areas to either market their products or start business.” Taslim said. TGA: How long will it take you to predict power supply in a particular area? Abdulraman: Well, predicting electricity for a household does not take more than 1 week to know if light will be restored at a particular time; but compiling this data to determine the stability of power supply for a community takes longer time so we can’t actually say how long it will take. It depends on what we are trying to predict and the data available for a required area. It takes time to gather data depending on the demand. TGA: The journey has been quite a rollercoaster for you guys, what challenges would you say you have faced so far? TGA: When do you intend to launch? Personal product will launch in June. The community level will roll out on before the end of March. Both students of FUTA, Taslim has graduated with a degree in Remote Sensing while Abdulraman is only a year away from his Computer Engineering Degree.